It’s around midnight in Dallas, and you are standing at a bus stop on busy Gaston Avenue waiting to catch a ride downtown. You’re here right this minute because, well, you had a huge wrangle with your lover Courtney. You’d gone out drinking at this small neighborhood bar, and after a four beers, you’d started insulting the Dallas Cowboys game blasting on the three televisions around the bar. It is the late 1970’s and the Cowboys are the team to beat in the NFL. You are shocked by what bartender says, but after a moment’s reflection you take his advice and leave the Emerald Bar to hoof the three blocks back to your efficiency apartment, where three of your lover’s children have recently arrived, having abandoned their father in El Paso to come live with you and Courtney. You’re astounded the manager has not tossed you all out on the street for breaking the lease, cramming so many souls into one small efficiency. “Fine with me. Good idea,” says Jorgen, Courtney’s oldest son, now twenty and unemployed. Mostly he stays in the large closet and practices his electric guitar. You load your two good suitcases with clothes, a typewriter, and the two cameras you bought a year ago when you won a writer’s prize. While you are doing that Courtney says nothing. You figure she thinks there is no holding you, so now here you are, standing on Gaston with those suitcases, waiting for a bus that does not run but every hour this late at night. Two young guys are also waiting, as well as a black-haired teenage girl about ten feet down who looks about sixteen. You hear this odd sound coming from her direction, and you look over her way. A small bulb hangs down from a pole over the bus stop and it casts enough light for you to see that she’s got this paper sack blown up. And then you see what looks like an aerosol can that she is using to spray paint into the bag. She puts the sack up to her mouth, and breaths in hard deep breaths of the fumes and small particles. ‘Holy Jesus Christ!” You think. You spend a lot of time reading The Dallas Morning News’ science section and have read a few articles about how sniffing paint does major damage to the brain. You are not rich. You’ve been working manpower jobs in factories all around Dallas—good experience for a writer, you think. You take a twenty from your billfold and walk over to the teenage girl. “I’ll give you a twenty for your can of spray paint,” you announce. The girl mumbles a “No” and moves about twenty more feet down the road. She probably thinks you’re a pimp trying to put her to work. You see the bus lumbering toward you, so you leave her alone and move back to the stop. The two young men once standing waiting for the bus you can now barely make out. They’re more than two blocks down, galloping away with your two suitcases. There’s no chance you can catch even one of them. You’ve got nothing now but two hundred in your pocket. No toothbrush, no changes of clothes, but you are not staying in this part of Dallas. Not now, not ever, no way. You take this whole night as a neon-blinking billboard from the Divine. You tried earlier in the week to talk Courtney into moving with you to Austin. “Darling, you don’t want your nine year old daughter walking home from school around here while you’re at work, do you?” you pleaded. She’s smart, your Courtney, a lot smarter than you, but she makes odd decisions. She had a four-year fellowship to get a PhD in biochemistry up in Denton, but she blew that off and works now for Kelly Girl as a secretary. The teenage girl manages to make it to the bus before the driver pulls away. She sits down in the seat in front of you, who she has probably forgotten. The girl bends down low to hide what she is doing out of sight of the bus driver’s rearview mirror, spraying more paint in her crumped brown gag and sucking it all deep in. You know it’s hopeless, yet you offer her forty this time. You have no job awaiting you in Austin, but maybe she needs a sign that someone cares, even it’s only money from a stranger. She doesn’t bother to look back, just shakes her head. You think about going up and telling the driver, but what will that accomplish? He’ll just kick her off the bus and she’ll still be out walking around in the dark sniffing paint. You’ve seen and known poverty before, many times. You’ve been poor in Chicago, in Austin, in San Antonio, but nothing quite like this. This now in Dallas. So many street people and abandoned houses, so many trying to sell you drugs. You set your mind on the future down on the road, on Austin. You see the green grass and waters of Barton Springs. You see the many faces of those you love. Chuck Taylor does not hate Dallas. He has many friends there, visits often, and especially appreciates the artistic community of the city. At the moment, he teaches creative writing at Texas A&M University and sells his photography on the web. 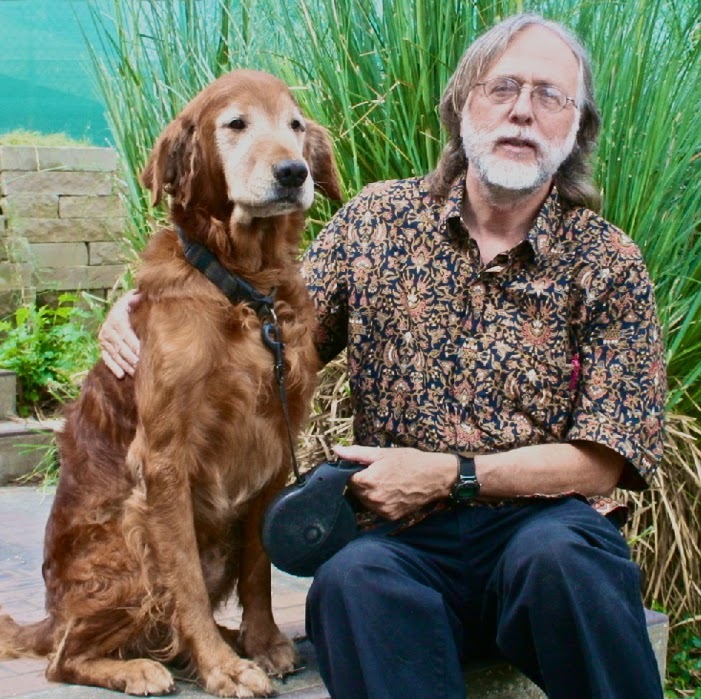 He’s published novels, books of short stories and poetry, and one essay title, “Only a Poet.” His last book, POET AND VAMPIRE, was reviewed in “Rattle.” Way back in 1988 he won the Austin Book Award, for “What Do You Want, Blood?” He’s happily married and has three grown children.